People-centered development recognizes that economic growth does not inherently contribute to human development and calls for improving self-reliance, social justice, and participatory decision-making at individual and household levels. Public hearings at national and district levels such as Town Hall Meetings aim at offering opportunities for open interactions between government officials and the people. The cardinal principle behind Town Hall Meetings is that governance is a day-to-day process and not only at election periods where politicians are accessible to citizens. Ghana’s economy is enjoying a state of macroeconomic recovery. The International Monetary Fund has asserted that the performance of the economy is a major inspiration to other African countries. The Real GDP growth, Inflation, fiscal deficit, primary surplus, trade position, international reserve and other macroeconomic essentials recorded in 2008 point to undeniable level of macroeconomic improvements. The effects of the macroeconomic gains remain to be felt in some households. Some families continue to experience constraints on their household budgets. Some are thinking of how to meet their rent and other routine expenses. Others have problems with the amount of calorie in-take, security and freedom from harassment. These challenges make it hard for some people to appreciate the macroeconomic gains made so far. The maiden Town Hall Meeting by the Economic Management Team under the Fourth Republic is commendable. The meeting highlighted the Before versus After assessments of some macroeconomic indicators such as Real GDP growth, inflation, budget deficit, balance of payment, debt situation, interest rate and private investment. The meeting also updated the citizenry on what government has been doing over the last two years. Many of the associated discussions, responses and debates have emphasized the direction of the macroeconomic variables, neglecting the mechanisms and linkages through which the macro-level indicators directly affect individuals and households. The first question to be addressed is how the macroeconomic indicators impact on the lives of Ghanaians especially the unemployed, under-employed, children, women, female-headed households, the aged, illiterates, and people living with disabilities and HIV/AIDS who are highly at risk? The second question is how to make the income distribution fair to benefit disadvantaged groups? How the wealth gained from the macroeconomic gains is distributed among the population? These questions must be clearly addressed by subsequent Town Hall Meetings. The data analysis and compilation must be extended to include what the government has done or is doing on the basic welfare indicators such as the number of graduates who find decent employment, population employed in agriculture, population employed in trading, population employed in manufacturing, the number of the youth who are no longer selling dog chains in the streets, the number of hawkers who are no longer carrying heavy loads on their head under the scorching sun, households using electricity, rural and urban access to safe drinking water, supervised delivery assistance in rural and urban areas, nearest health facilities in urban and rural areas, pension levels, child labor etc. These are some of the issues that matter to the ordinary Ghanaian. One of the important questions to ask about a country’s development is: what has been happening to unemployment? If unemployment has been increasing, then beyond doubt this has been a period of development. It will be difficult to call the result development, even if GDP per capita growth and other macroeconomic indicators double. Ghana has not been able to create the required jobs to absorb the increasing youth and individuals with employable skills. Economic growth is high and education is growing but the jobs are not there to absorb many of the graduates. The agriculture sector has failed to attract graduates as expected. The mining sector is dominated by foreign partners. Manufacturing is not strong in Ghana. Oil production is unable to generate large scale employment. The next Town Hall Meeting must move beyond the Before-After comparison of the macroeconomic indicators and examine the issue of unemployment. More emphasis must be on the creation of unemployment database and providing the enabling environment to enable businesses and entrepreneurs grow, make profit and employ more people. 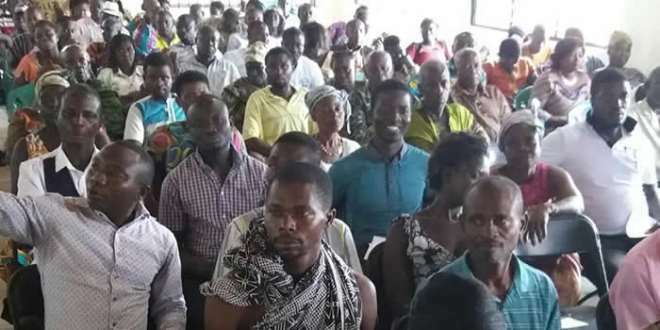 At the Metropolitan, Municipal and District Assemblies (MMDAs) levels, Town Hall Meetings have concentrated on the counting of projects. For instance, the number of schools, clinics, roads, etc. that are completed and on-going. Some poverty-reduction interventions have had no meaningful impact on the people because of poor planning, implementation, monitoring, and evaluation. 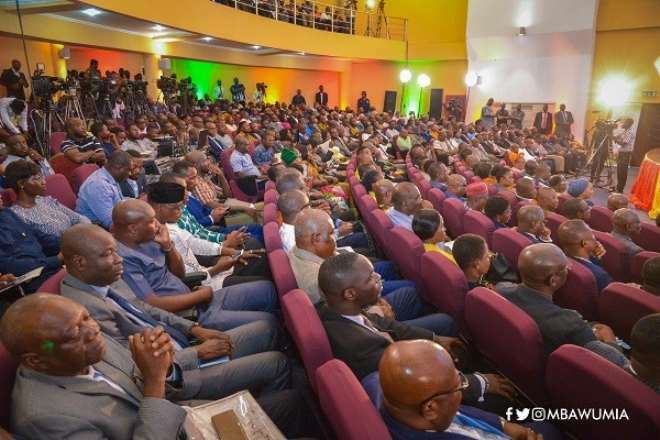 The MMDAs must periodically evaluate medium-term development plans to enable them to determine the impact of the implementation strategies on the people. The evaluation must be based on the outcome and impact and not only on output or the physical presence of the projects. Lack of such evaluation has led to a situation where many projects of MMDAs have become white elephants and have no bearing on the lives of the people. It is time to address the unsustainable and inequitable aspect of the growth-focused development strategy and follow a people-centered development approach that incorporates the values of justice, sustainability, and inclusiveness. We must track progress made by Ghana so far in improving longevity, basic education and minimal employment income to inform Town Hall meetings.